Published on 22 May 2013. Ukip’s increasing popularity has generated acres of news coverage in the past few months. I thought I’d use this 2D post to pick two of the more thoughtful articles about Ukip’s leader. 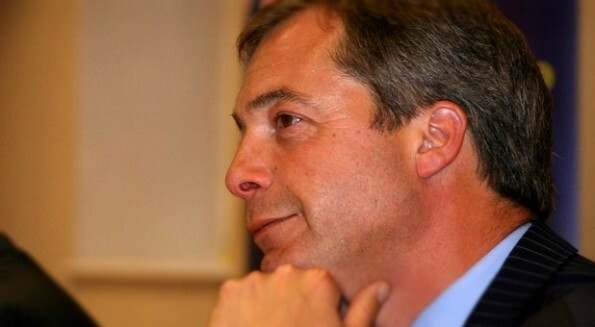 Writing in Prospect, the magazine for which he’s associate editor, Edward Docx describes Farage’s “relentless charm” in an article with several arresting revelations. Perhaps the most intriguing, if not the most insightful, is that “close up, he smells of tobacco, offset with a liberal application of aftershave”. I found it not a little strange how much that added to Docx’s characterisation of the man. Perhaps the scent of all party leaders should become a regular feature of all political reporting. Docx mentions Farage’s deft handling of a lack of policy detail, but in The Telegraph, Allister Heath goes a little further in taking Farage to task on the lack of coherent policy: he claims that “there are huge black holes at the heart of Ukip’s proposals”. While these are two rather different articles in terms of tone, form and content, they do identify much the same traits in Farage, at least from the grand political point of view. Despite this, they come to utterly different conclusions: Heath argues that Ukip essentially doesn’t “stand up to detailed scrutiny”, while Docx argues that Farage can “make politics feel personally relevant again” and “show our parliament a way to recover its dignity”. Both arguments are well worth reading. 2D posts appear on alternate Wednesdays. For 2D, I pick two interesting articles that look at an issue from two different – though not necessarily opposing – perspectives. I hope you enjoy them! The photo at the top of this post was posted to Flickr by the Euro Realist Newsletter and has been modified and used under Creative Commons Licence. This 2,022nd post was filed under: 2D, Politics, Allister Heath, Edward Docx, Nigel Farage, Prospect, Telegraph, UKIP.